​Dr. 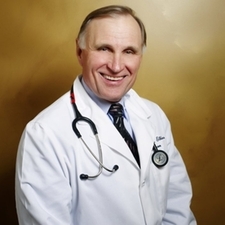 Noel Thomas graduated from Auburn University in 1979 with a Doctorate of Veterinary Medicine. After graduating, he spent 4 years in general and emergency practice in Memphis, TN. In 1984, Dr. Thomas, in partnership, purchased Westside Veterinary Service in Murray, KY. Dr. Thomas' commitment to continuing education led him to becoming board certified through the American Board of Veterinary Practitioners in 1986. The ABVP certifies practitioners with exceptional knowledge, skill, and competency in clinical practice. While still in private practice, Dr. Thomas completed the certification process for the American College of Theriogenologists. 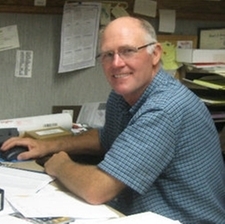 He received his board certification in 1998 as a reproductive specialist. Dr. Thomas uses his extensive education to practice in the small animal spectrum as well as large animal. Dr. Thomas and his wife Linda have two children, Jena and Emily. They also have four grandchildren. Dr. Thomas enjoys turkey and duck hunting. ​Dr. Robert Salley graduated from University of Tennessee with two degrees. In 1978, he recieved his bachelors degree in Animal Science and was accepted into the College of Veterinary Medicine. He received his Doctorate of Veterinary Medicine four years later in 1981. Dr. Salley practiced general and emergency medicine in Memphis, TN from 1981 until 1984. Dr Salley, in partnership, purchased the Westside Veterinary Service. He headed the effort and accomplishment of gaining certification for Westside Veterinary Service by the American Animal Hospital Association. Dr. Salley enjoys all facets of veterinary practice, but enjoys most being able to enhance the life of his clients through their pets. He is a member of the American Veterinary Medical Association, Kentucky Veterinary Medical Association, and the Jackson Purchase Veterinary Medical Association. Dr. Salley and his wife have two children Ben and Brooke. They also have a yorkie mix named Bella and a mixed breed grand-dog named Teddy. Dr. Salley and his wife enjoy spending time going to Corvette shows with their Corvette and riding his Harley. Dr. Damon Eastwood is originally from Madisonville, KY. He attended University of Kentucky from 1988 to 1991 to fulfill the pre-veterinary requirements of admission into Auburn University. 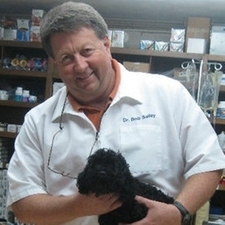 In 1995, he graduated from Auburn University with his Doctorate of Veterinary Medicine. After graduation, he came to Murray, KY for his preceptorship and stayed on as an associate. 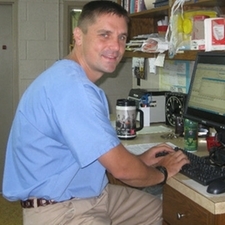 Dr. Eastwood began practicing at the Warner Animal Clinic and in 1997 moved to Westside Veterinary Service. In 1999, he became a junior partner of the practice. Dr. Eastwood is a member of the American Veterinary Medical Association, Kentucky Veterinary Medical Association, and the Jackson Purchase Veterinary Association. ​Dr. Eastwood and his wife, Jackie have two children, Lauren and Logan. They have a Golden Retriever named Lexie, a Beagle named Tater, and a Siamese Mix named Cal. Dr. Eastwood is an avid UK basketball fan, enjoys camping and NASCAR racing. Dr. A.D. Elkins recieved his Doctorate of Veterinary Medicine from Auburn University in 1970 and began his practice in Madisonville, KY, where he cared for the medical and surgical needs of both small and large animals for 10 years. In 1982, he completed a surgery residency and received a Masters degree (M.S.) at Texas A&M University. Upon completion of his residency, Dr. Elkins took and passed the surgery boards to gain board certification into the American College of Veterinary Surgeons. Until 1986, he owned a referral practice in Kentucky, but then became chief of small animal othopedics and assistant professor at Louisiana State University School of Veterinary Medicine. Since then, he has practiced private referral surgery in Indianapolis, Indiana and visits Westside every 2-4 weeks. When he is here, he evaluates patients in need of a surgical consult and preforms surgery when indicated. We are fortunate to have such an asset that sees referred patients that need a surgical specialist in our geographical region. Dr. Leslie Jackson is orginally from Graves County. She attended Murray State University through 1997, receiving a Bachelor of Science degree in Agriculture/Pre-Vet. 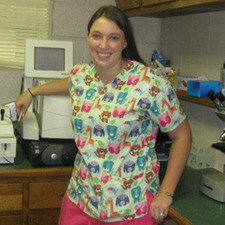 She was then accepted to Auburn Veterinary School and received her Doctorate of Veterinary Medicine in 2001. She returned to the area to do her internship, and later began working at Warner Animal Clinic. Dr. Jackson currently works at Warner Animal Clinic during the week, and Westside Veterinary Service on Saturdays. She is a member of the AVMA, and the KVMA. ​Dr. Jackson has 2 children, Parker and Taylor. The 5 furry family members are, Jeb (a black lab), Alex (Chocolate Lab), Copper (Jack Russell mix), Lily (Chihuahua), and a cat named Jinxy. In her free time she enjoys spending time with her family and her pets as well as scrapbooking. 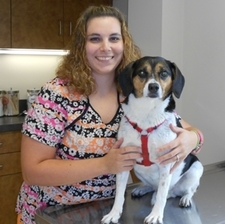 ﻿​Juli McClain is a licensed veterinary technologist originally from Michigan. She obtained her Bachelor Degree in Pre Veterinary/Animal Health Technology from Murray State University in 1989. Before coming to Murray in 1998, she worked at a private practice and at the Emergency Hospital in Nashville, TN. Juli and her husband, Keith, have two children Stephanie and Elizabeth. Chelsea Hendrick was born and raised in Murray. She received her Bachelor of Science in Agriculture from MSU in 2009. This was followed by receiving her Masters in Agriculture in 2010, during which she completed her thesis on Canine Arthritis Research. Subsequently, she received her technologist's license in 2010. Chelsea started volunteering at Westside in 2005 and now serves as both technologist and receptionist. Chelsea married her high school sweetheart Justin in 2009. They have two sons, Kamden and Kallen, and 2 dogs, a lab mix named Nash and a St. Bernard mix named Amos. Chelsea enjoys cooking, sewing, crafting, and spending time with her family (especially her niece and nephews). 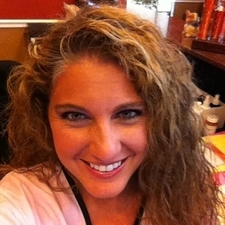 ​Janel Shelby grew up on a farm in Illinois and came to Murray, KY to attend Murray State University in Fall 2005. She received her Bachelor of Science degree in the area of Pre-Veterinary Medicine with a minor in Chemistry in 2010. After that, she recieved her technologist license in May 2011. In addition to being one of our technicians, Janel also plays an important role as receptionist. In July 2009, Janel married her husband Brian and they have a beagle mix named Vanilla. Her favorite things to do are scrapbooking, watching movies and hanging out with friends. ​Angela Shelby was born and raised in Murray, KY. She graduated from Calloway County High School in 1996 and attended Murray State University immediately following high school. She graduated from MSU with a Bachelor of Science degree in the area of Wildlife Biology in December 2000. While attending Murray State, she was an active member of the Wildlife Society and participated in a research project focusing on bull frogs and the affects of environmental changes, both manmade and natural, on their development. Angela is strongly concerned about conservation, habitat preservation, and environmental issues. Her favorite biological subjects are herpetology and wetland ecology. Angela came to Westside in August 2004 and has been a receptionist that entire time. She and her husband, Alan, have one child, Nathan, two dogs; Abby and Reagan, a turtle named Spot, and an iguana named Delilah. Angela's favorite activities are family time, playing with her pets, hiking, fishing, and drawing in her spare time.